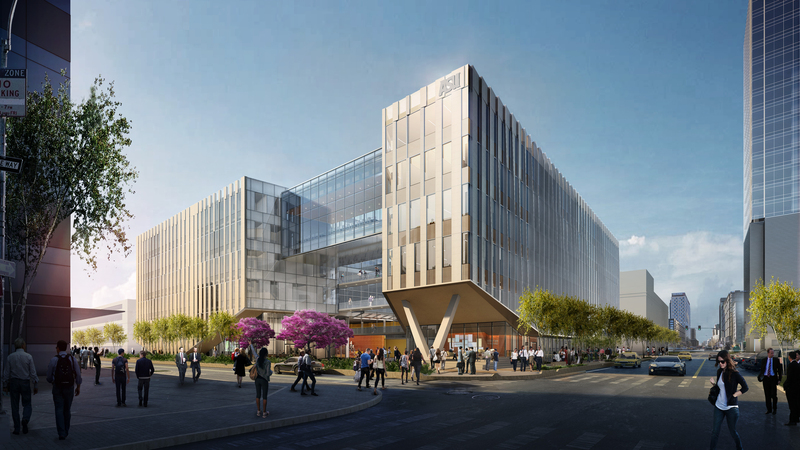 The official groundbreaking for Arizona State University’s new $129 million law school building in downtown Phoenix, the Arizona Center for Law Society, is set for Nov. 13. Construction on the Arizona Center for Law and Society began in July. The new building will be ready for classes by August 2016. The College of Law currently occupies its home of almost 50 years, Armstrong Hall, on the Tempe campus. ASU and the College of Law are committed to ensuring that the Armstrong name will be honored in the new law school. The Arizona Center for Law and Society is being funded by the City of Phoenix, which is providing land and $12 million, construction bonds through ASU and private donations. The College of Law has set a capital campaign goal of $50 million for construction of the building, and has raised more than $34 million so far. The building is planned to be approximately 280,000 gross square feet with two levels of underground parking. It will have 18 rooms in which classes will be regularly scheduled, including one large lecture hall dedicated to university undergraduate education. Features of the new law school include a high-tech courtroom and an active learning classroom. The lead architects on the project are Ennead Architects and Jones Studios, with DPR Construction as the lead builder. 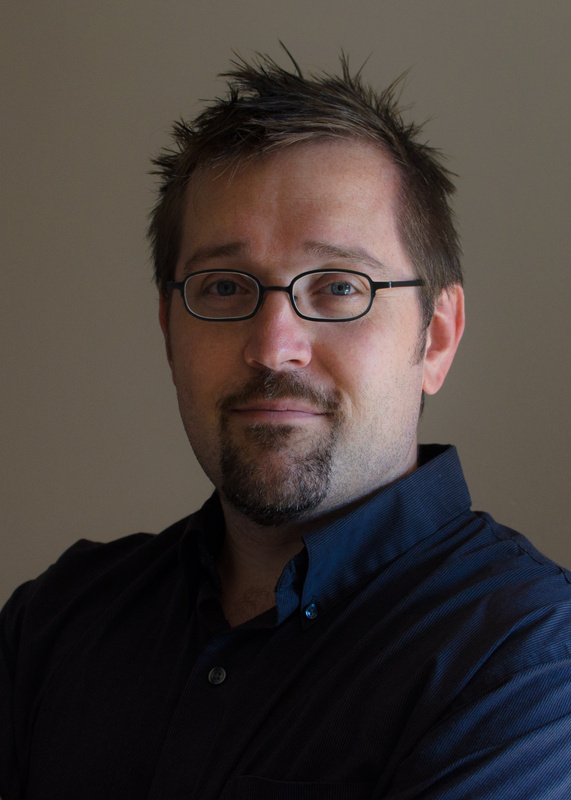 David Tinapple, an assistant professor in the School of Arts, Media + Engineering in the Herberger Institute for Design and the Arts, was awarded a $1,952,419 National Science Foundation (NSF) grant to explore, analyze and improve existing student web-based peer review systems. The project is titled "Collaborative Research: Research in Student Peer Review: A Cooperative Web-Services Approach." In conjunction with the Division of Undergraduate Education (DUE), this program is geared toward advancing the improvement of undergraduate STEM education by supporting the development of innovative learning technologies “through funding research on design, development, and wide-spread implementation of effective STEM learning and teaching knowledge and practice, as well as foundational research on student learning,” according to the website. Tinapple had already laid down the groundwork for the project with his work on an internal peer-review system with fellow AME faculty member Loren Olson, who leads the school’s instructional technology team. Under Tinapple’s direction, the three-year project will bring together five researchers in academic peer review, including several who have developed peer-review systems, and an advisory board that includes developers of the largest online peer-review systems in North America. The team’s larger goal is to advance the state of the art in peer assessment, which is increasingly important not only in traditional classroom settings, but also in online courses and MOOCs. The School of Arts, Media + Engineering (AME) is a collaborative initiative between the Herberger Institute for Design and the Arts and the Ira A. Fulton Schools of Engineering, focused on research and education in experiential media and digital culture. AME offers a BA in Digital Culture, an MA in Digital Culture, a PhD in Media Arts and Sciences, and concentrations in graduate degrees spanning the arts, sciences and engineering. AME faculty and students study, develop and apply new media systems that enhance education, health, culture and everyday living. For more information about AME, visit ame.asu.edu.